Aluminum casting is the second most important cast construction material after cast iron. 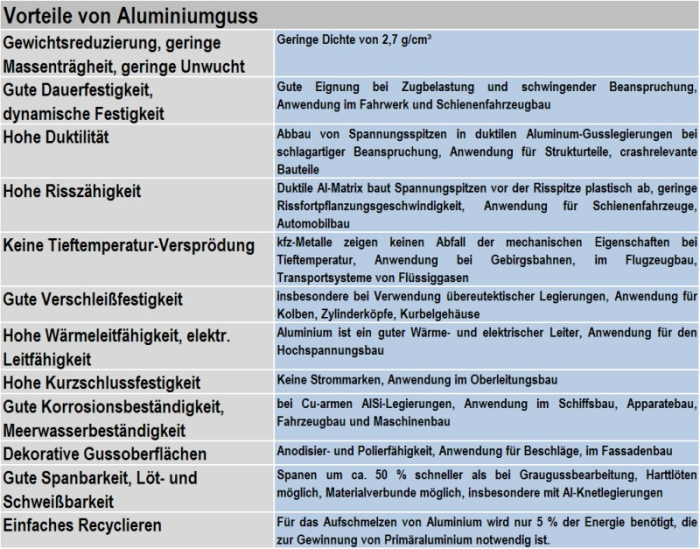 Table 1 lists several decisive reasons for the great importance of the application of aluminum cast alloys as construction material. For production of castings, a wide range of standardized alloys as well as numerous special alloys are available to achieve the required properties. The chemical composition of the standardized cast alloys and the properties of castings - produced with the various standard casting processes - are explained in EN 1706:1998 (please note: this standard replaces the previous national standard DIN 1725, Part 2). EN 1706 additionally contains the assignment of alloys for the various casting processes as well as comparable specifications on castability and other properties like machinability, corrosion resistance, anodizing properties and polishability as well as physical properties like heat extension and electrical and thermal conductivity. The designation terminology for cast alloys and castings as well as the definition of the heat treatment states is defined in DIN EN 1780, parts 1 to 3 (see also Material condition). 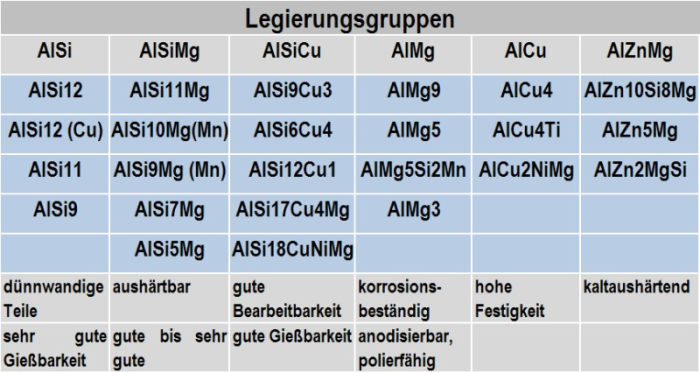 Aluminum cast alloys can be distinguished in the alloy groups listed in Table 2 with the most important alloy compositions and properties of the individual groups. The most common alloys for the automotive industry can be found in the groups AlSi, AlSiMg and AlSiCu. Alloys for sand casting, gravity die casting (Gauss Automazione srl.) and investment casting are identical in their composition. In contrast to this, die casting alloys usually feature a higher iron content. The most important alloy element in aluminum alloys is the metalloid silicon, which considerably increases castability. 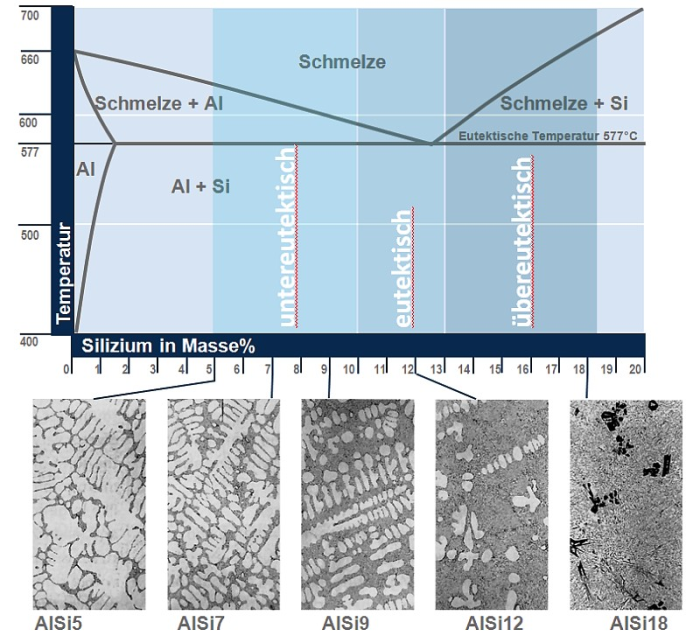 While the maximum solubility of silicon in the α mixed crystal lies at 1.65 %, casting alloys feature silicon contents between 3 and 20 %. The eutectic composition in the binary phase system of Al-Si is 12.5 % Si (see Fig. 1).